In recent years, a number of large population-based biobanks – genetic databases that combine genetic information derived from blood samples with personal data about environment, medical history, lifestyle or genealogy – have been set up in order to study the interface between disease, and genetic and environmental factors. Unsurprisingly, these studies have sparked a good deal of controversy and the ethical and social implications have been widely debated. 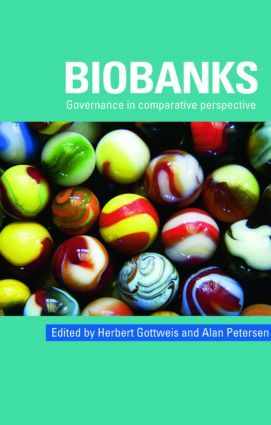 This groundbreaking book makes clear that biobanks are a phenomenon that cannot be disconnected from considerations of power, politics, and the reshaping of current practices in governance. It will be a valuable read for scholars and students of genetics, bioethics, risk, public health and the sociology of health and illness.